The Summer Community Center Recreation Program is offered for eight weeks, (June to August) every year to school age children and youth from 5 -15 years old at each City Community Center. Children who are 5 years old at the time of registration must turn 6 by Sept. 1 in order to be eligible to participate. Due to the high participant demand for the City of Albuquerque’s Community Centers Summer Recreation Program, the Department of Family & Community Services utilizes a "lottery-style" selection of participants. Once a center registration is full, a waiting list will be kept and maintained for participants not selected. Parents will be notified as space becomes available. View Community Center location and contact information. View information about the Summer Playground Recreation Program. View information about the Therapeutic Recreation Program. 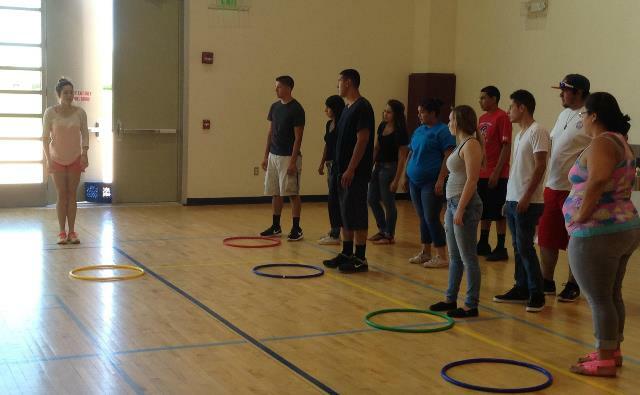 Staff learning activities for the Community Center Summer Program. The Lottery for the 2019 Community Center Recreation Summer Program will be Monday, April 15, to Friday, April 26, at each community center. The summer program will begin on June 10, 2019 and end on Aug. 2, 2019. Children who are 5 years old at the time of registration must turn age 6 by Sept. 1, 2019. The Summer Recreation Program is free to all participants who are selected through the lottery process and are registered at a community center. The Summer Recreation program hours are from 7:30 a.m. to 5:30 p.m. Monday through Friday at all centers.